(CNS): Amendments planned for the Marine Conservation Law to protect Cayman’s famous stingrays will also include a three year limit for the directors appointed to the board because, the minister has reportedly said, it should not be appointed in tune with elections as it makes them too political. The amendment bill which is being brought to the Legislative Assembly at what will probably be its final sitting before the parliament is dissolved ahead of the May election will not include any changes to the current marine park zones. Despite the pressing need to update the parks in order to increase the protection for local marine life, the environment minister appears to be wishing to avoid tackling the major issues because of some limited objections from fishermen. The amendments to the law are limited to preventing anyone from taking stingrays from anywhere in Cayman waters but it does not extend that protection to sharks. However, it makes the possession of rays taken from waters an offence, which means that the local dolphinarium which currently holds several rays caught in local waters will need to return them to the wild. Following significant public outcry after a local vet spotted tagged rays at Dolphin Discovery, the Department of Environment (DoE) was able to recover and release the tagged rays, which had evidently been taken from the Sandbar, but the facility’s management refused to give up the rest, which were not tagged. With no law in place at the time to protect any rays, the DoE was unable to compel their return to the sea. DoE Director Gina Ebanks-Petrie welcomed the move to protect local rays outside of the Wildlife Interaction Zone at the Sandbar as she said it should prevent what happened at Dolphin Discovery happening again. The minster has reportedly stated that the amendment which limits the tenure of board members out of the election cycle for the first time is to limit the politicisation of boards. While the minor amendments will be made before Cayman goes to the polls in May, it is clear that the pressing need to enhance the marine parks and zones in Cayman waters will not happen before a new government is elected. Along with the failure of the previous UDP administration and the new interim government to address the critical and pressing conservation issues on land, it is also failing to tackle the main issue of Cayman’s future marine environment, which is even more critical to the local tourism product and the local economy. Dolphin Discovery has shown their true colors when they kept captured stingrays and refused to release them after the public outcry. I will never have anything to do with them and would like to see them closed. It will be nice for this law to pass and force the release of the Rays being held by Dolphin Discover, something they should have done on their own. They are on my Boycott list and will remain there. Many of the MCB members have been on the board through several administrations, making it one of the few government boards that is not politically motivated. Apparently, the interim government wants to change that before they leave office and appoint their own lackeys – without tackling the hard stuff and making any meaningful change to protect the marine environment, like actually extending the marine parks boundaries. 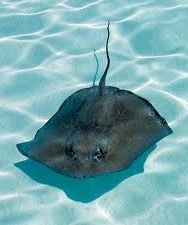 Tying the board shake-up in with protection of the rays will ensure its passage, however. Utterly shameful politics at play, trying to protect their political hides without the balls to protect Cayman's future. Board members get, I think, $25 per meeting, making it one of the lowest paying board appointments. Let's see how that changes with a new board. What a crock.Cant wait to get some right thinking people in the LA and let them get on with saving what little we have left of our enviroment.What is the problem?Cant you clowns get it through your thick heads that this is ALL we have to get our visitors here?Environment goes tourist goes and so do thousands of tourism related jobs.What is so damn hard to understand about that?